The holiday season means family time for most Americans, but that’s not the case for many U.S. military personnel who can’t return home to eat turkey dinners, open presents, light the menorah or participate in other traditions. It’s a situation veterans who served in decades past can identify with, as they too found themselves far from home between Thanksgiving and New Year’s Day, often under harrowing conditions. For 95-year-old Art Schmitz, for example, Christmas Eve 1944 was “just another day under fire” because the Battle of the Bulge was well underway. “Several other soldiers and I were holed up in a house in Bastogne, Belgium, singing Christmas carols when we heard the drone of approaching planes,” says Schmitz, author of the memoir A Tourist in Uniform: World War II Memories. The first plane dropped flares, lighting up the night skies. The soldiers scrambled to the cellar stairs, falling down the steps as bombs exploded and parts of the house collapsed above them. Red Cross. The Red Cross has a “Holidays for Heroes” program that enables people to “give something that means something” during the holiday season. The Red Cross says it invites the public “to join their local Red Cross offices to thank and recognize members of the military, veterans and their families through a variety of activities.” Anyone interested in helping should check with their local Red Cross office to learn more. USO. 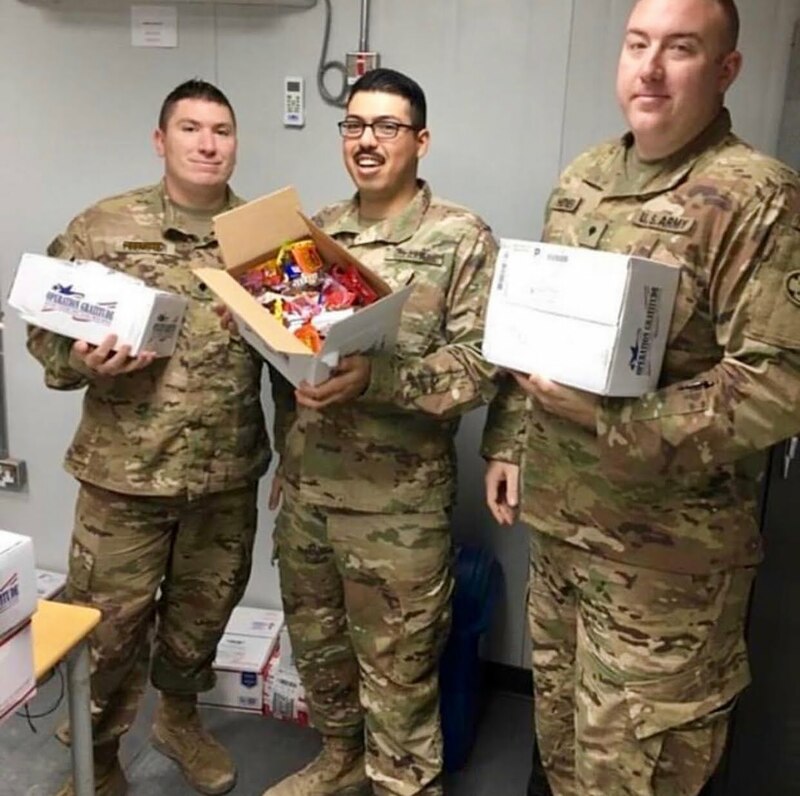 The USO delivers holiday care packages during various holidays throughout the year. The USO reports that since the program was launched in 2011, it has distributed nearly 1,500 boxes that brought holiday cheer to more than 110,000 service members in more than 500 locations. Operation Gratitude. This non-profit organization sends individually addressed care packages to troops serving overseas, veterans, military families and others. Each package contains snacks, hygiene products, entertainment, and handmade items, as well as personal letters of support. After surviving that Christmas Eve in 1944, Art Schmitz recalls making it to the mess hall for a much-needed Christmas Day meal, and then being handed a copy of General Anthony C. McAuliffe’s holiday message to his troops. About Art Schmitz: Art Schmitz, author of A Tourist in Uniform: World War II Memories, is a retired teacher and a World War II veteran who was born and raised in Milwaukee. With the help of the GI Bill, he earned a Master's Degree from the University of Wisconsin-Milwaukee in Exceptional Education for the Mentally Challenged student. He taught in Wisconsin and four other states before retiring after 35 years in the classroom. He is a lifetime stamp collector and an avid fisherman who has fished in 191 bodies of water in three countries.